After a surprisingly eventful summer for English football, the Premier League drought is finally over as the first matches of the season begin this weekend. Kicking off the 2018-19 season, Manchester United host Leicester City at Old Trafford on Friday, August 10 at 8pm. Both sides will be hoping for a winning start to the season, after United failed to clinch top spot last year and Leicester languished in 9th place. 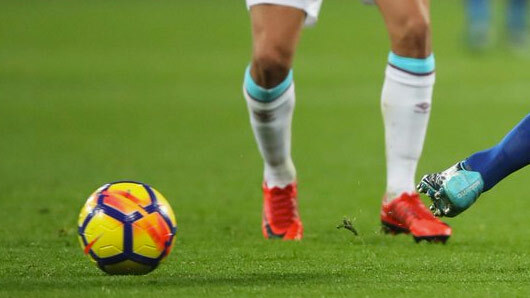 The weekend will also see the first matches of the campaign for new arrivals Cardiff City, Fulham, and Wolves – all of whom have been promoted from the Championship. Cardiff City will play Bournemouth and Fulham will play Crystal Palace on Saturday, August 11 at 3pm. Meanwhile, Wolves’ first Premier League test against Everton will be televised live on BT Sport 1 later that same day at 5.30pm. Last year’s Premiership winners Manchester City will be in action on Sunday August 12th at 4pm, facing off against Arsenal in the London club’s first challenge for new manager Unai Emery. For the full list of this season’s games and where they will be televised, football fans need look no further than TVGuide’s new and updated Premier League Fixtures page. Our guide contains all the information about the upcoming season, including fixtures, stadiums, scores and any last minute timetable changes. It’s the first place to start when planning one’s weekend of sports, with the option to add games to calendar so one never misses a game. Check out the 2018-19 Season Premier League Fixtures on TVGuide.co.uk.